As Moms, we try everything we can to keep our babies safe and away from anything that can harm them. This can be hard at times, mine seems to be drawn to anything that she is not supposed to be near. One way I can keep her safe is by limiting all of the harmful chemicals that seem to be in everything these days. When I heard that WaterWipes was coming to the US, I got pretty excited. 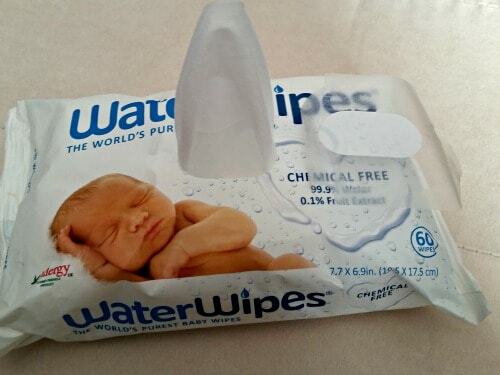 I had heard about these wipes before but they were never available to try. They are a premium European brand, mainly in the UK and Ireland, that is all natural. They only contain 2 ingredients: water and grapefruit seed extract! I saw that they were available at my local Target, you guys know I love shopping there. 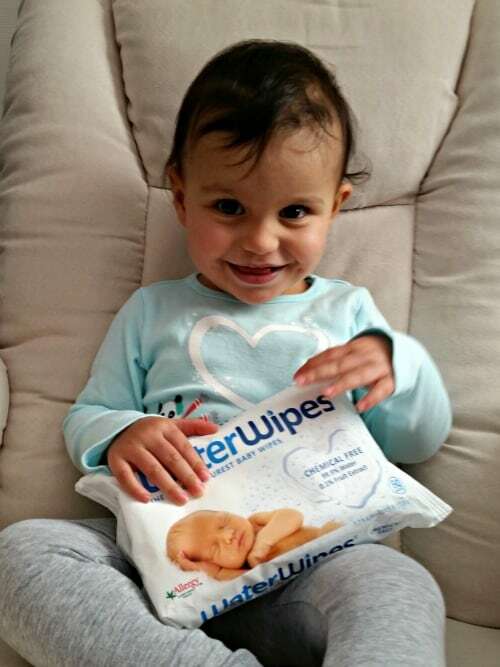 You can find out where WaterWipes are sold near you by using this store locator. I have tried out the wipes for about a week now and I really like them. They get my daughter clean and fresh during her diaper changes. As you can see, she really likes them too. She tends to want to put everything in her mouth, including her wipes. I don’t have to worry about her ingesting anything nasty if she sticks a WaterWipe in her mouth. These are also great for wiping off her hands as they usually go right back in her mouth, too. 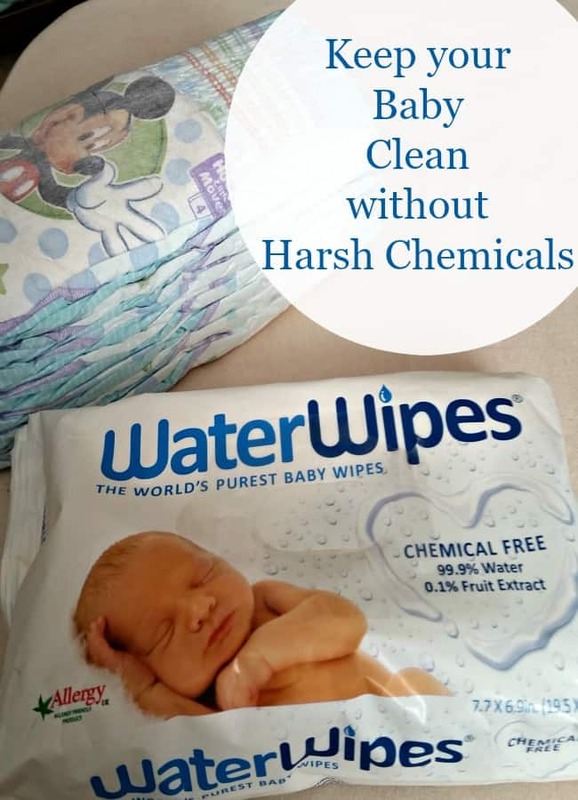 I love that WaterWipes are chemical free and durable at the same time. They get my daughter clean and they never rip. The wipes don’t contain any preservatives so it is best to use the wipes within a month once you open them. They will be good up to 15 months unopened. Want to enter a fun contest? 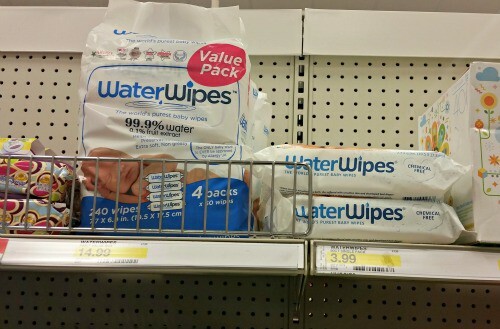 I-C is hosting a contest for WaterWipes where you can enter to win a $100 Target gift card! This will run through Dec. 4th. You can enter by choosing a social media sharing option from the social media amplification tool below. *I-C will randomly select 1 winner from all program entries and will handle fulfillment of the winning prizes. I highly recommend WaterWipes to anyone with young children. These would make awesome baby shower gifts! I feel better knowing that I am doing what I can to limit my daughter’s access to harsh chemicals. 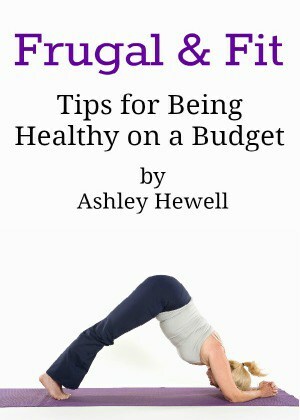 This is a product that I can stand behind and I know you will love them for your little ones.